What Is a Dedicated Team Model? What is a Dedicated Team? Simply put, a dedicated development team is a business approach to app and web development. It is one of the cooperation models, right there with the Time&Material model. In a Dedicated Team model, there is a client, the outsourcing company, and the employees, including a dedicated testing team as well as developers. The outsourcing company acts as the middleman, finding employees that will be able to complete the project assigned by the client and meet their requirements fully. We would call this a model of personnel assignment. This model is usually used for long-term projects, where requirements are unclear and scope changes frequently. It is also used when the client’s own team lacks skills or expertise in specific areas. The main aim of the dedicated team is to work seamlessly as part of the client’s team to provide quality, unique and project-specific solutions. Dedicated Team model means what it says on the tin. It is a remote team of the other company dedicated to the realization of your project. Unlike an extended team model, in which the team is more like an extension of the main team, a dedicated team is a separate entity with its own management and frameworks. In DT Model, the development team of the outsourcer works on certain project exclusively full-time with direct reporting to the client. The outsourcer company (for example, the APP Solutions) provides recruiting services, administrative support, and resources for the realization of the project. Basically, an outsourcing company plays more of an assisting role in the organization of the work. The client’s role in the project is more hands-on than in other models. In usual configurations, the clients are able to interact with the team, monitor daily activities and overall progress of the project via management, directly, or combining both. This helps to keep both parties on the same page and adapt according to the circumstances. Out of this comes the key value of this approach - focus. The team is concerned with realizing one project which increases the speed and quality of results. You don’t need to worry about the team being stretched too thin and overworked - they are set on the goal and they are moving towards its realization steadily. The customer needs to outline what exactly he wants. The client has to determine the number of employees that are required for his project and which skills they should possess. Provider hires a dedicated team that corresponds to the project requirements. The team together with the client agree on the workload and project requirements for the specified amount of time. Experts are gathered into the team and start work during regular hours. The client has full management control over the project and team, while the dedicated team services are concentrated on providing the best results. One of the major advantages of the DT model is cost-efficiency. Plain and simple. It is cheaper to hire a dedicated team than gather a team on your own. The thing is - gathering the team can be a laborious process. One needs to consider numerous candidates, consider their pros and cons, hard and soft skills, the role in the grand scheme of things. It takes a lot of time and effort to gather the team that will be 100% fitting for the project. That is something usually severely lacking in the fast-paced competitive world of software development. Another biting thing is that recruiting can be rather stressful for the budget. Dedicated Team model is a viable solution due to a fact that the team is already there and it is configured for the certain type of the project. Leaving out the organizational part gives much more time to focus on the project itself and keeps the money for other important processes such as technology research and business analysis. One of the biggest advantages of the dedicated team model is the focused approach. You have a team at your disposal with no excessive distractions. Increased immersion into the project gives an additional focus on the thing which in turn generates much more diverse and inventive insights into the possible solutions. With the focus also comes vastly increased adaptability. DT model the team can be reconfigured at every stage of the project according to the current needs and requirements. There are numerous factors at play: technology application, market performance, budget constraints and so on. All of them require a timely response. Due to the increased turnaround of the development, this issue is greatly simplified. While it is a common thing for any agile-based process, in case of the dedicated team it is more nuance-based due to more opportunities to test different options and consider the best fitting. The proposed team is 100% concentrated on one project, which helps the team not to lose the task focus and provide the best results for a client within one project. The client gets the full control over the selection, motivation, and management of dedicated team members. With the dedicated team model from the APP Solutions, you can manage highly qualified and competent experts, project managers, equipment, resources, and infrastructure based on project requirements. Speed is another major improvement over the other models of corporations. Because of more hands-on approach from the client and focused development team, the whole process can proceed at a higher pace than Time & Materials (strictly planned out) and Extended team (need to coordinate between parts of the team). In addition, if you also implement the DevOps approach, it will streamline the workflow and automate the majority of routine operations which gives more time to work out the gist of it. With those advantages in mind, the project can adjust according to the situation without skipping a beat. Dedicated team model is perfect for the projects that require the constant evolution of the requirements according to the market performance or technological progress. One of the biggest challenges that come with the long-term projects is narrowing of the perspective. The more one is immersed in the proceedings the less of the big picture he is able to comprehend. With Dedicated Team model, we don't just promote the collaboration within the team of developers, but between the client and the team. This helps to make long-term planning more efficient. The team members are also more invested in contributing to the project, which helps to refine workflows, brainstorm solutions and assess the strong and weak points of the process. The great things are born in tight collaboration between the client and the development team. Working with the dedicated team you get the complete control over the project due to the day-to-day communication and management using web tools, e.g. Basecamp, Atlassian JIRA, Skype, etc. The team and the client are constantly brainstorming the best ways to solve the challenges and issues. Brainstorm sessions between the software team and owner are common to get visible results and to work more efficiently. In order to succeed big time, the project is required to never stop evolving - add a new feature and refine the existing ones. For example, It is especially important with B2C eCommerce platforms where UX is one of the key factors and generating conversions. Dedicated team model is very effective for the projects that need not grow and evolve over the time. Basically, the team can be kept intact and the whole project will shift to another stage with no need to scale the team and set up another team to support the thing. Another important process is the optimization of the product. Due to evolving technologies - this requirement is vital in maintaining and growing the product. Despite a great number of advantages, the dedicated team model has some disadvantages as well. It is crucial for business and startup clients to understand the negatives that come with this model before they use it in their work. The model is more efficient when it applies to the longtime projects. A significant amount of time allows the team to grow together. When the project has short-term, it will be better to use another model of development. You need to be completely involved in the selection of team members process. Otherwise, the work of a dedicated team might yield disappointing results. It is crucial to understand all the pros and cons of the dedicated team model to make the right choice. This model means that the team will be entirely dedicated to achieving the goals of the client but you have to be deeply involved in all working processes at the same time. How We Run a Dedicated Team Model? We have built over 10 remote teams (up to 12 people) for our clients. Geography of the clients for this service is Denmark, Switzerland, USA, Germany, Israel, and other. Conectric was one of our project developed using the dedicated team model. Conectric company has invented a unique system that provides energy savings in hotel segment. Smart sensors and controllers provide monitoring of the system, discover weaknesses, and suggest the solution that helps to save over 10% of ongoing energy costs. The APP Solutions' dedicated team equipped the service with the custom applications that collect and analyze data from sensors, help to control the information in real time and provide output for making decisions instantly. 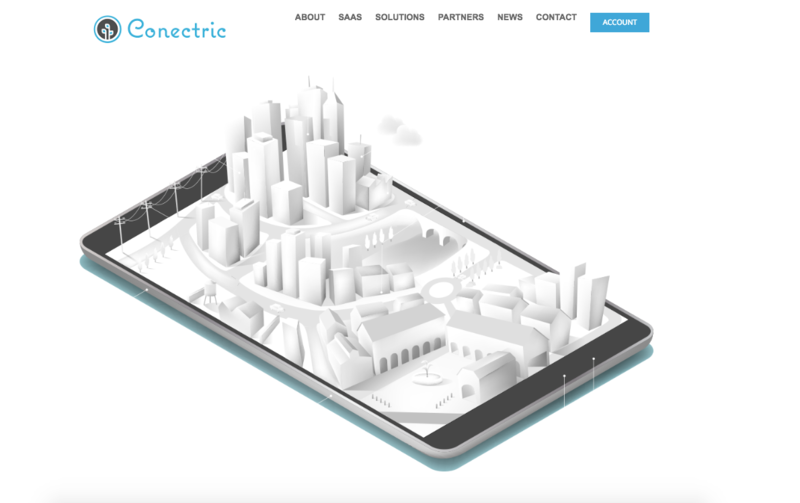 Conectric project is a set of patented technologies and tools, the data of the Internet of Things sensors, and business intelligence. The whole scope of work was implemented on the dedicated team model. The dedicated team for this project included a Project Manager, who cares about delivering all project requirements to the development team. Our project manager coordinates the work of the in-house team on your demands. We use different time and process management and tracking tools to make sure, the client is in charge of a workflow. Also, we prepared a weekly report to discuss all achievements and future tasks. The APP Solutions provided the entire software ecosystem that includes backend and integration of two mobile applications. While working on this project we used an agile approach to provide efficient brainstorm sessions between the software team and the product owner. At the end of the cooperation, the client got a ready-to-go product and all its artifacts, including product technical specifications, design and mock-ups and product intellectual property rights. Dedicated Team: Is It Right for Your Business? So now you know the pros and cons of a dedicated team model for software outsourcing. Should you go with it or with the Time & Material option? The decision is up to you - there is no universal answer. Our business analysts can help make that decision once they have studied your idea and assessed the requirements. Looking for developers to build your web or app project?